Before coming to Madison, Dimitris spent two wonderful years as a postdoc at UC Berkeley. At Berkeley, he was a member of the AMPLab and BLISS, and he worked on several fun projects with Kannan Ramchandran and Ben Recht. He received his Ph.D. in 2014 from UT Austin, where he was advised by Alex Dimakis. Before UT, he spent 3.5 years as a grad student at USC. Before all that, he received his M.Sc. and ECE Diploma from the Technical University of Crete, located in the beautiful city of Chania. 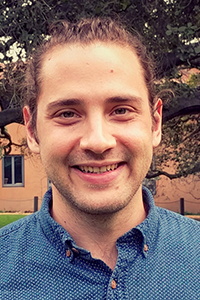 Dimitris research interests lie in the intersection of machine learning, coding theory, distributed and parallel systems. His current focus is on coordination-avoiding algorithms for large-scale machine learning, and on using erasure codes to speed up distributed computation. IEEE Transactions on Information Theory, September 2014.